Real Estate (Regulation and Development) Act, 2016 was implemented with the sole purpose to regulate and promote the Real Estate Sector along with the protection of the interest of the Home-buyers. Since its implementation we have witnessed few landmark judgments; having said that there has also been some confusion on the few legal provisions. 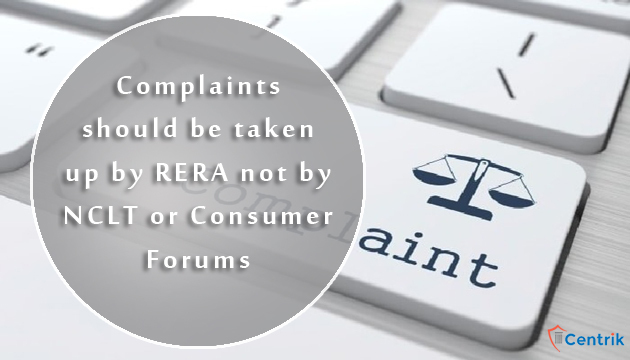 The complaints against the defaulting builders should only be taken up by RERA Authorities of the State before being referred to the NCLT (National Company Law Tribunal) for the insolvency proceedings. If the RERA fails to unravel the dispute, then only dispute may be referred to the NCLT (National Company Law Tribunal). At present, complaints against builders are also being taken up by consumer courts as well as RERA. It is necessary to change the provisions to stop the confusion and it will also help builders to not to face litigation in different forms. The president of the NAREDCO also said that there has to be uniformity in the implementation of the RERA provisions all across the country. As per the RERA laws, the liability of the promoters in case of the structural defects is for 5 years which should be counted from the possession of the units. In this regard, the liability of the promoters should only for structural and design defects as well as for the material used. The extent of the liability must exclude the defect of the equipment’s like lifts and generators as the warranty on these is provided by the manufacturers. The plumbing, electrical and hardware and sanitary ware should also be excluded as they have natural wear and tear. The extension of the RERA registration to the builders should only be decided in the lights of facts instead of the RERA provision which provides extension for the period of one year. All the aforesaid points which were taken up for the suggestion by the NAREDCO (National Real Estate Development Council) are the practical aspects of the RERA which we all have seen since the RERA was brought into the existence.